The Ysleta Independent School District (YISD) announced on Monday the recent appointment of David Gonzalez as the principal of Ysleta Middle School, and Naomi Esparza as the new YISD Director of Academics for Middle Schools. Gonzalez, a graduate of Riverside High School, began his career in education in 2003 as an English teacher at Parkland High School. He went on to serve as an English teacher and student activities director at Riverside High School before working as an assistant principal in the Clint Independent School District (CISD). He holds a bachelor’s degree in English and American literature from UTEP, and a master’s degree in education from Sul Ross University. Gonzalez’s new job duties as Ysleta Middle School principal take effect Monday, July 17. Esparza is a graduate of Hanks High School and a 26 year veteran in education with 13 years teaching experience and 13 years administrative experience. She began her career as an English teacher in Socorro ISD at Montwood High School then went on to teach English at Americas High School. 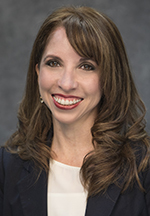 She later served as a middle school assistant principal at Col. John O. Ensor Middle School in SISD and as a high school assistant principal at Mountain View High School in Clint ISD. She returned to Col. John O. Ensor Middle School where served as principal. She holds a bachelor’s degree and master’s degree from UTEP. 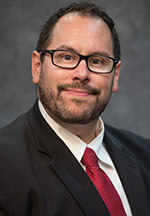 Esparza’s new job duties as Director of Academics for Middle Schools take effect Monday, July 24.